It's the atmosphere here, the atmosphere whipped up with the warm synth chords, their heavenly modulation, the uncomplicated simplicity of it, the watery refrain of the guitar thin and tactile above the thick haze of the track, and then there's the swaying motion of it, the slow oscillation as the sharp clipped snares and hi-hats tick-tocking finely against the amorphous bed of velvet sounds and the aching slow-slow jwang of the bass. There is a feeling of the comfort, detached but comfortable. Alone and a part. The vocals linger with their layers languid and lost in dislocated dreamlike longing. Created by Montreal-based three-person musical unit ("Jessy, Dragos and Emma") Men I Trust, 'You Deserve This' contains within it something very akin to the insta-nostalgia conjured by the homely wilderness of the Twin Peaks theme by Angelo Badalamenti, rich but not extravagant, universal but not cold, not meant for you but nor for anyone in particular. It is a wandering feeling, formless, a freefall into this cyclical formula, the feeling of going around and around without realising it, the seamless repetition of sound, the sparse groove, the ascending-descending melody, slowly softly slowly softly up and down the stairs, head full of chill, heart full of warmth. 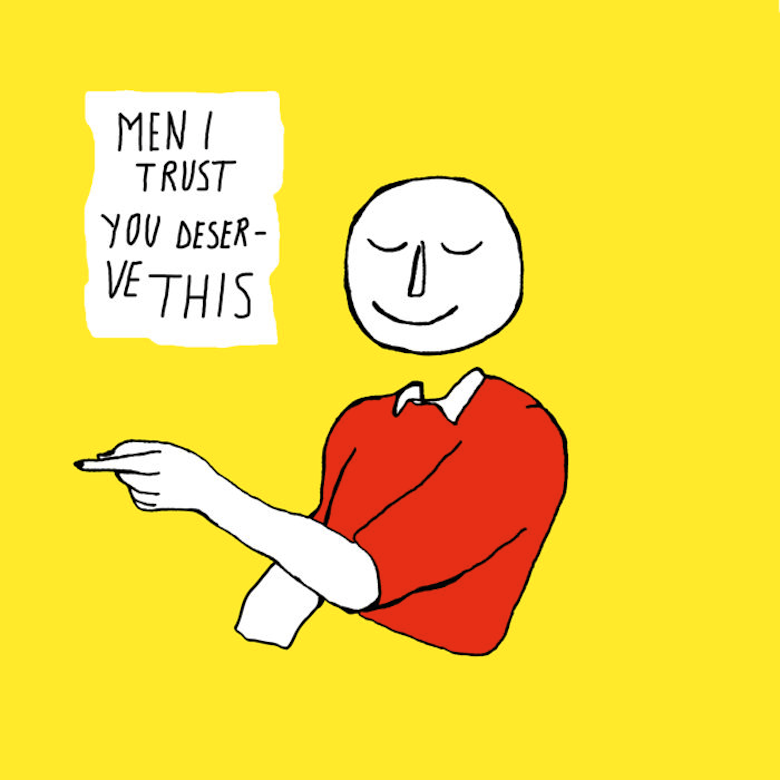 🔔 'You Deserve This' can be downloaded for free from Men I Trust's Bandcamp.